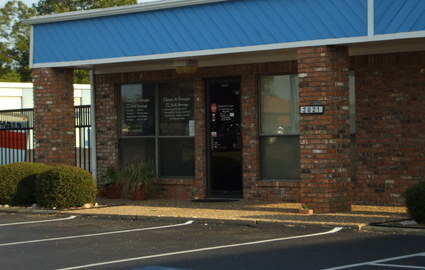 Closets and Garages is located just 3 blocks from U.S. Highway 75 and FM 120 intersection, in the center of Denison. We are just a few miles from beautiful Lake Texoma and 15 miles south of Choctaw Casino in Durant, Oklahoma. Our tenants are residents and business operators from all over Grayson County and Southern Oklahoma. 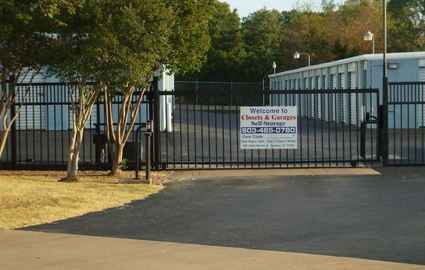 We provide easy access to our well-lit storage facility with your own code for the gate. 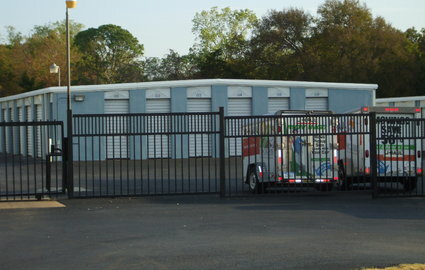 Commercial and household storage is available and our onsite manager will accept deliveries on your behalf during office hours. 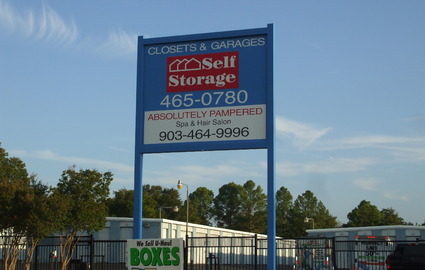 We strive to be your one-stop for all your storage needs; we have boxes and supplies for retail onsite, and even have U-Haul rental so you don’t need to worry about rushing all over town to get everything together for your move-in. With units ranging from mini 5x5 to warehouse-like 10x25, we have a space to fit any of your needs. Our rates are reasonable and you will be treated with the respect you deserve from our staff, so reserve a unit with us to start your next great rental experience today!